>> Read the PHILIPPINE STAR Article here. Coral reefs are the tropical forests of the ocean, providing habitat and breeding grounds for a wide variety of marine life. They are thus host to some of the most diverse ecosystems on the planet. They also regulate carbon dioxide levels in the ocean, a key to the survival of many species of marine life. They are the source of nitrogen and other nutrients essential to the marine food chain. This is why large numbers of marine species live in reefs. The reduction of bio-diversity through the extinction of species resident in coral reefs will inevitably lead to the breakdown in marine ecosystem health and function. Moreover, the long-term survival of marine life as a whole depends on being able to maintain a diverse marine ecosystem. A diverse range of marine species provides a larger gene pool, giving natural communities survival options when environmental conditions and climates change. Sangkalikasan Producer Cooperative, our technical partner, with more than eight (8) years experience in Coral Restoration, has worked to preserve, conserve, & protect our seas in six (6) Provinces and more than ten (10) Marine Protected Areas. It has established coral farms in various areas in the country using the DOST methodology, “FILIPINOVATION” for coral rehabilitation & restoration. Together with the MISS EARTH FOUNDATION, we shall establish Marine Parks, Dive Education and Reef Conservation Learning Sites in the Philippines to achieve our goal in bringing back the beauty and glory of our coral reefs. Even minimal growth of coral attracts tropical fish and improves the catch of fishermen of fish species found at the fringes of the coral reef. Healthy coral reefs will provide new grounds for species such as sea turtles that have become endangered because of the loss of their natural habitat. 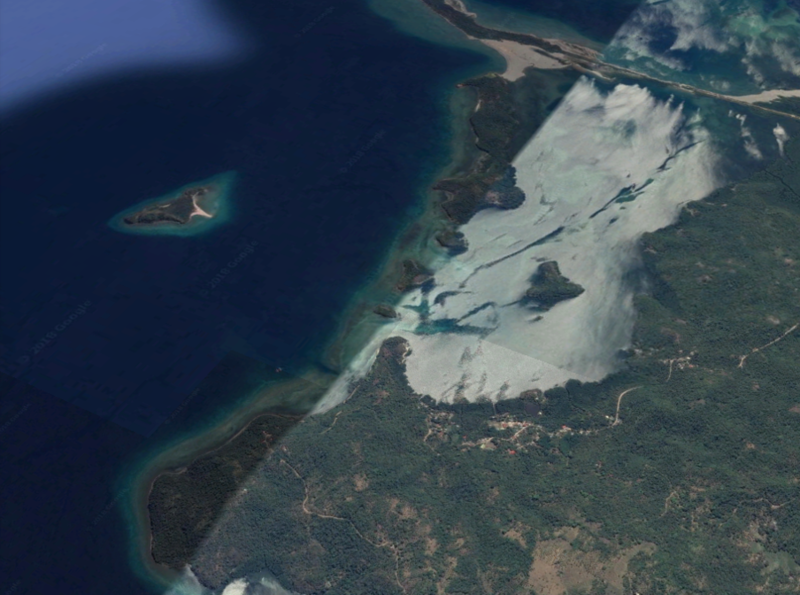 A project of this nature allows the LGUs to gather fresh data on the state of its ocean environment and resources; map and establish its Marine Protected Areas; and gain other information necessary for planning sustainable marine activity and pro-active coastal and marine management. The project will help minimize the negative effects of climate change. The coral nursery will help buffer damage from coral bleaching, reduce damage from tidal surge to coastal communities and reduce soil erosion and run-off into sensitive coastal marine habitats as well as run-off into sources of drinking water. The coral nurseries will provide protected areas for fish and other marine inhabitants to thrive and propagate. This will increase biodiversity and density levels in the long run and provide increased food stocks for coastal communities and the nation as well. A living coral farm will promote tourism, attracting divers, snorklers and other tourists. Moreover, the promotions campaign for this project, mounted in cooperation with HOW, will attract people not just to the coral farm but to the other, and heretofore undiscovered, attractions of the Municipality of Sta. Cruz, Marinduque. With tourism comes jobs; this project is estimated to create at least 300 jobs for the people of Marinduque. HOW will educate the coastal communities on the care of corals and on how to achieve connectivity and sustainability in coastal and marine management. HOW will initiate and provide training on sustainable livelihood interventions that will co-exist with, and not disrupt or destroy, Marine Protected Areas (MPAs). Coral reefs need clean water to thrive. 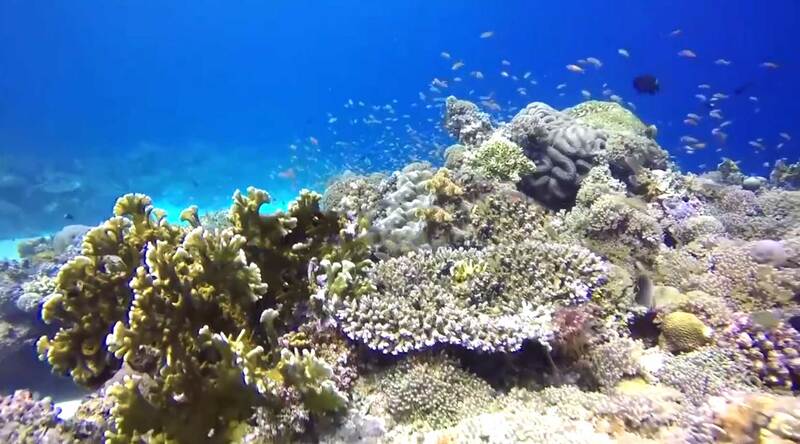 From litter to waste oil, pollution is damaging reefs worldwide. Pollution from human activities inland can damage coral reefs when transported by rivers into coastal waters. Increasing demand for food fish and tourism curios has resulted in over fishing of key reef species Overfishing of certain species near coral reefs can easily affect the reef's ecological balance and biodiversity. From subsistence level fishing to the live fish trade, inadequate fisheries management is forcing the decline of fish stocks. Observations since 1961 show that the average temperature of the global ocean has increased even at depths of 3000m (IPCC report), and that the ocean has been absorbing more than 80% of the heat added to the climate system. Such warming causes sea level rise and creates problems for low lying nations and islands. Fishing with dynamite, cyanide and other methods that break up the fragile coral reef are highly unsustainable. These practices generally do not select or target particular fish species and often result in juveniles being killed in the process. Damaging the coral reef habitat on which the fish rely will also reduce the productivity of the area, with further impacts on the livelihoods of fishermen. The growth of coastal cities and towns generates a range of threats to nearby coral reefs. Sensitive habitats can be destroyed or disturbed by dredging activities to make deep-water channels or marinas, and through the dumping of waste materials. Where land development alters the natural flow of water, greater amounts of fresh water, nutrients and sediment can reach the reefs causing further degradation. Coral bleaching occurs when the symbiosis between corals and their symbiotic zooxanthellae breaks down, resulting in the loss of the symbionts and a rapid whitening of the coral host (thus the term "bleaching"). This is a stress response by the coral host that can be caused by various factors, but more severe and frequent cases are being caused by a rise in sea surface temperature. The impacts from coral bleaching are becoming global in scale, and are increasing in frequency and intensity. This is the name given to the ongoing decrease in the pH of the Earth's oceans, caused by their uptake of anthropogenic carbon dioxide from the atmosphere. Although the natural absorption of CO2 by the world's oceans helps mitigate the climatic effects of anthropogenic emissions of CO2, it is believed that the resulting decrease in pH, (i.e. making the water acidic), will have negative consequences, primarily for oceanic calcifying organisms such as coral reefs. HOW will provide human intervention to promote coral asexual reproduction by replanting fragments of coral on substrate that are then immersed in the corals' natural habitat where they are expected to grow into full-sized corals in approximately eight months. The full-grown corals then become donors of new fragments that are again replanted on substrate and allowed to grow. The cycle can repeat itself indefinitely until the coral in the subject area are fully rehabilitated. Human intervention is required for corals' fast recovery. In nature, corals reproduce sexually only once every year. This sexual coral reproduction is induced by way of a signal in the form of a certain phase of the moon that triggers a mass broadcast spawning. During this particular lunar phase, the corals release their eggs and gametes. However, the fish that reside in the corals eat a considerable amount of these eggs, while others are carried by currents to distant places where they may or may not survive. If they drop to the bottom of the ocean floor, they will die for lack of sunlight. When coral eggs do survive, however, their growth and development is slow. The method adopted by HOW has been found effective in many other countries. 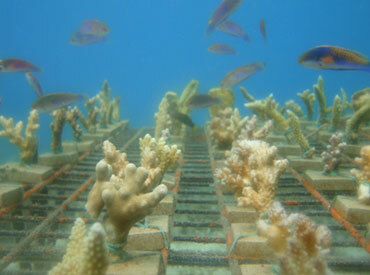 In this method, fragments of live corals are broken off and planted in beds of substrate that are immersed in the target areas. Under the right conditions, these fragments then take hold on the base substrate and grow into full-sized corals in approximately 8 months. Some of the newly grown corals can in turn become donors themselves in order to produce more corals. This cycle is repeated endlessly. Do your part! Be Part of the Movement! The C.O.R.A.L. Movement is an organization of volunteers that provides information, education, and activities related to the conservation and cultivation of coral reefs. They are tasked to conduct educational tours conducted in schools, hotels, and other educational and tourist-related institutions, whether public or private. Through this movement, we will create awareness for our cause and conduct fundraising efforts to ensure the sustainability of the C.O.R.A.L. Program. Click here to Like and Follow our FB group page! Like and follow our FB group page to learn more about our goals, methods, and activities! Join and do your part in conserving and cultivating the Philippine coral reefs! Connect with like-minded individuals and leave your mark in making the world a better place for the next generations. Get in touch, volunteer, be a member! 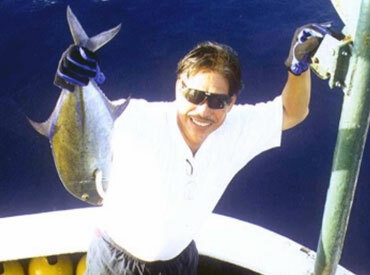 Being a true lover of the sea, Mr. Alegrado is one of the founders of Bluewater Beach Resort, & Alenter Marine Corporation, His interest on marine life continued as he pursued his studies at SEAFDEC. Hatchery and Natural Food Production course. In his desire to perform a meaningful civic duty, Mr . Alegrado, a certified scuba diver himself, has seen the reef practically die and disappear right before his eyes over the years. In 2009, Mr. Ed Alegrado, with his hands free at last, decided to address the problem. 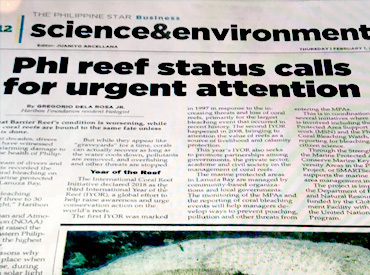 The time was ripe to roll up his sleeves and give his utmost effort to rescue the devastated coral reefs in our country. The rehabilitation of the reefs in our country using the asexual methodology is a concept of Mr. Ed Alegrado together with Ms. Michelle Bautista Tañada of H.O.W. Together, they have designed & developed a comprehensive program in the year 2010 and now, finally, the dream of bringing back the beauty and glory of the Philippines is now a reality thru the C.O.R.A.L program of HEIRS OF THE WORLD (H.O.W.) Inc. .
A philanthropist and accomplished entrepreneur, Dean Dr. Renato M. Sison’s love for his countrymen speak volumes. This is what drives and motivates his every word and action. Taking due cognizance of the importance he attaches to the welfare of students, he supported no less than ninety five (95) High School Scholars from 1986 – 1998 from his own personal funds and continues to help pave the way for deserving students become productive citizens of our country. 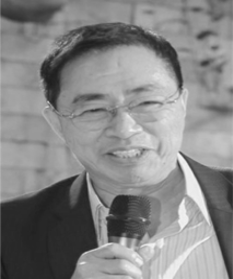 His various experiences as a Dean for Centro Escolar University for 17 years and his involvement as Director for Department of Agriculture’s National Agribusiness Corporation and other social and non-government organizations , such as Romblon Livelihood Foundation, Operation Brotherhood International has led him to continue in building a better Philippines for the next generations. A local and international Media Specialist with over 15 years experience in Out-Of-Home, Tourism Marketing and Brand Activation. Her impressive range of experiential and creative activities include ventures with the National Council of Women of the Philippines, the ASEAN Confederation of Women's Organizations, the Balikatan sa Kaunlaran National Foundation, Alpha Distinct Development Solutions, Inc, Powersites, 68 Inc, Star Cruises. With a strong desire to “pay forward” to society, She has created “ Ecohome Art” , together with husband, Noel Tañada , the first, eco-friendly line of furniture, lighting and accessories that combines Environmental Art, Technology and Social Responsibility and an Eco-Advocacy partner of Ms. Earth Foundation. Ong represented the Philippines and won in the Miss Earth 2015 pageant held at Marx Halle, Vienna, Austria. The coronation night occurred on December 5, 2015. During the pre-pageant activities, Angelia won a silver medal for the Miss Friendship award and a bronze medal for the evening gown competition. We will, because we can. I want to let everybody know that all things are possible and all things are feasible if we work together. We will, because we can. Content of Ms. Angelia from Wikipedia. More on Ms. Angelia Ong in her Wikipedia page. A true lover of the seas, Mike is a scuba diver with more than 2,000 logged dives and counting. A Finance wizard with skills in underwater photography/ videography, Mike has worked with Philippine Department of Tourism and local communities for the SEAFARI program that helped establish the Philippines as a world-class underwater macro photography destination. A Sea Conservation Advocate, Mike volunteers and supports the World Wildlife Fund, Reef Check Foundation and “Bantay Dagat” of Mabini. A Cruise Director for top worldwide cruise shipping companies such as as Star cruises : Aquarius, Capricorn & Gemini, & P& O Lines, Fred Olsen Cruise Lines , Canberra and Oriana, Roger has produced , directed and starred for over 50 major productions. Roger’s success and responsibility in managing departments with staff coming from different countries enabled him to interact with people from all walks of life. A Producer , Entertainer and Director,for the Davenport Theatre in England.